Rifle Falls plunges 70 feet into a lush valley below. This little state park offers a nice trail for families to view the waterfall from both below and above. 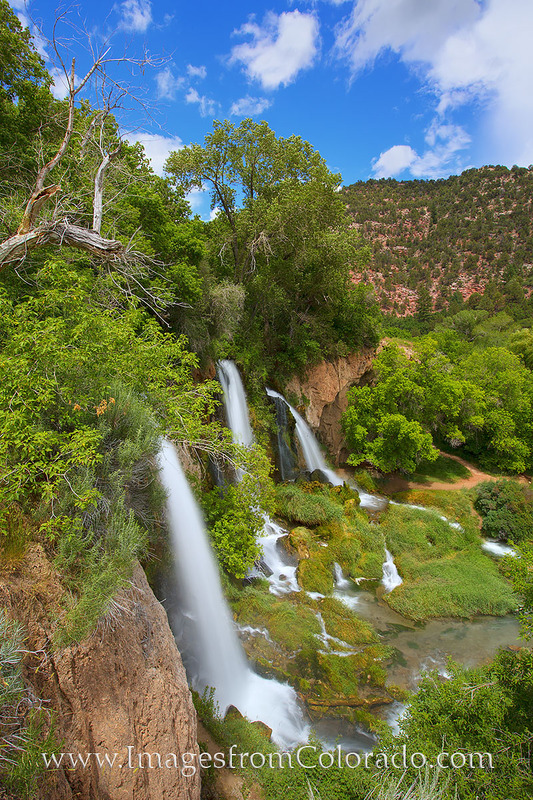 Only 45 minutes from Glenwood Springs, Rifle Falls State Park also makes for a good daytrip on a hot summer day. Photo © copyright by Rob Greebon.